Sandra Kaye: Are You Ready To Trade?!? I sure am!! We have traded Quilties here on my blog several times now, and it has been such a fun experience. I am ready to host another trade. First, read "COME ON EVERYONE LET"S TRADE" post and check out all the requirements for trading Quilties. Ladies who have traded before you still need to check out this post because some of the info has changed. The theme this trade is LACE. Any kind of LACE. Just as long as lace appears on your quiltie. This trade we will be trading 4 for 3. You will make 4 quilties and get 3 back. I have been having issues with in country postage, and out of country postage. So, I decided I will pay for all return postage in exchange for a quiltie just for me. Mail out date is February 15th. If you live real far away....please mail early. 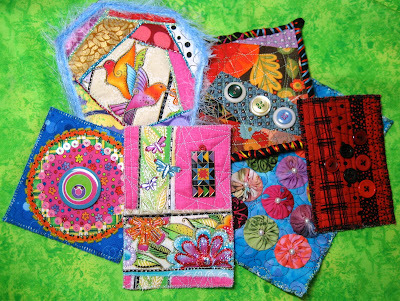 If you are new to the trade there is a Quiltie button on the right side of my blog where all the past trades are saved. Please go and check them out. I think I covered everything, please feel free to ask questions!! Now you know what I'm going to say next...."COME ON EVERYONE LET'S TRADE"
What a lovely idea, however I will have to pass this time as I am in Australia and what with UCJC and other cross stitch exchanges I just do not have time to make any quilties. Is it possible to give a slightly longer lead in time for the next trade for those of us from overseas? I work full-time so there is no way I could get them made in time to post them off before January 31st. What is the theme...if there is one? I wanted to pop in and say hello and give you a big (((hug))). If you ever work out a list of what trades will be for several months ahead I might be able to get some done for a future swap. I do miss being a part of it. Hi Sandie,really looking forward to joining for the first time. Thank you Sandie for calling in to my blog I am a new follower , I would love to make some quilties, count me in,I would love to trade. I'm getting started today! 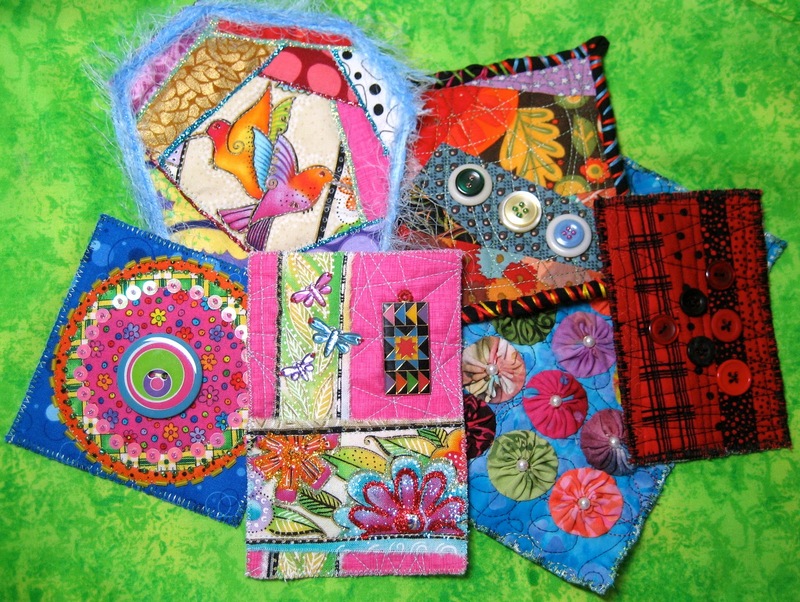 Your quiltie swaps are such fun! Love that you have listed your UFO's on your site. Great idea. Thank you for visiting my blog, it means a lot.